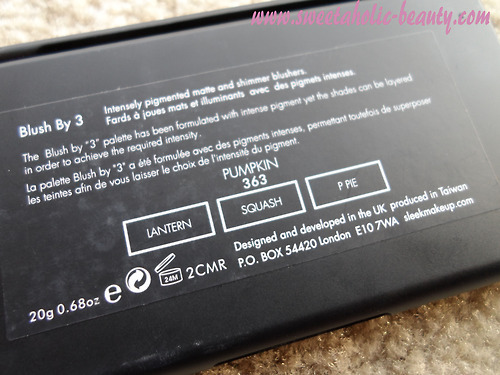 If you remember a little while ago, I posted a major haul (You can read about it here) and the Sleek MakeUP Blush by 3 in Pumpkin was one of the goodies I picked up! I had a few people request that I do a review on it, and so I decided to show you all my thoughts on it! As always with Sleek, the packaging is simple and travel friendly. I love the black look, it makes the product feel a lot more expensive than it is! The back of the palette itself gives you all the information you need, including the cute names for the colours! The colours on this particular palette are rather bright, and a little bit intimidating for most. I wasn't exactly sure how these would go on my pale skin, but nevertheless I was determined to find out! My favourite of the trio was definitely Lantern. Lantern is a really lovely coral colour, with a very slight amount of shimmer. I find this one is most suited to my skin and hair colour, and gives a more subtle look. 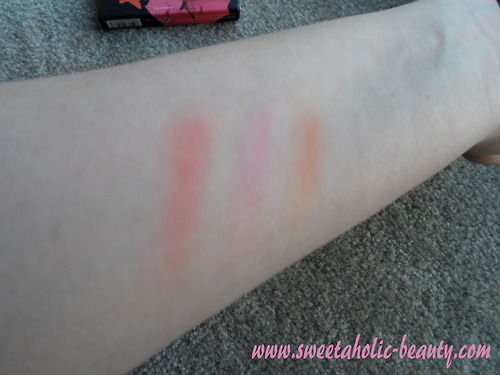 The other two colours are equally as lovely, with Squash being a little more sheer than the other two, as it is a matte blush. P Pie is the most intimidating, an extremely bright orange blush! 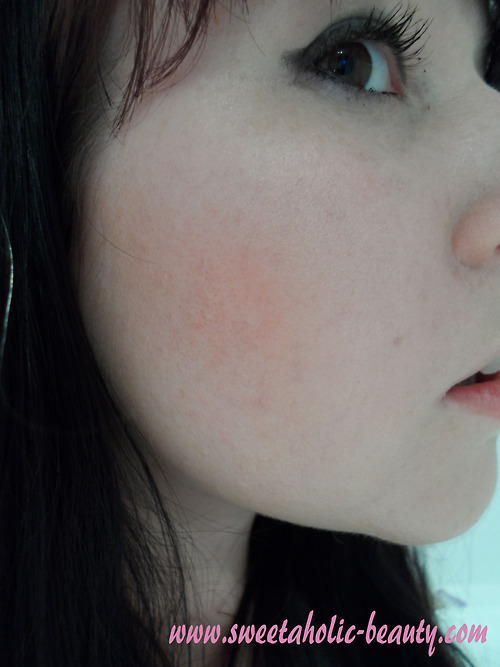 I gave it a go and found that it ended up looking a little more like a bronzer, which was perfect for contouring, but still lovely as a blush. 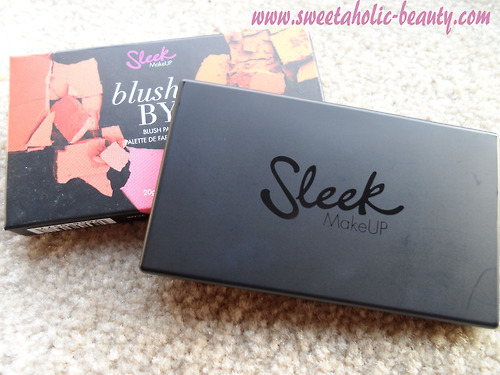 The only issue I have with Sleek blushes is that they tend to be almost too pigmented! Too much product and you will look like a clown, so just be sparing! Depending on your skin tone and your all around general look, these colours are definitely wearable, and aren't as extreme as they seem to be! I have had a lot of fun wearing P Pie the last few days (I'll be sure to include it in a FOTD sometime soon!) and I really like the look! All in all, I'd definitely buy this again and I'm interested in trying out some of the other colours they have available! I already have "Lace" which is the most neutral of all the Blush by 3's. 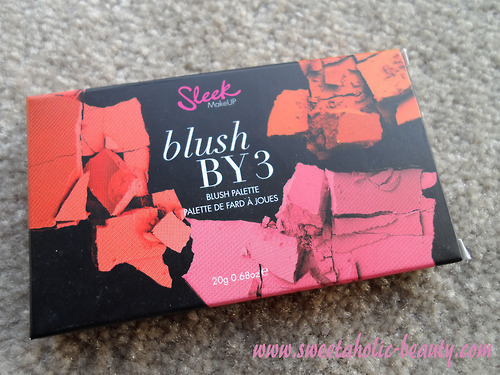 Have you tried the Sleek MakeUP Blush by 3 yet? If so, what did you think? Coral has definitely become a favourite of mine in the last few months! Hehe, it's definitely a gorgeous palette! The color looks absolutely lovely :) So envious of your plae skin.. you can pull off any sort of blush!! 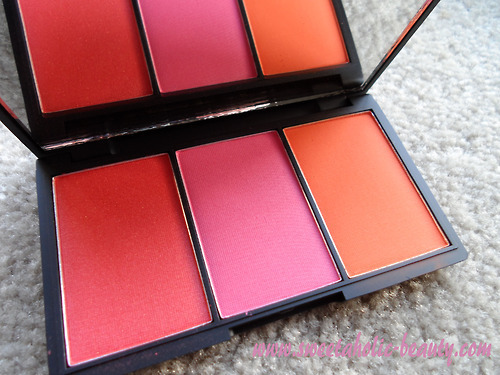 These blush by 3 palettes are SO amazing, need that one in my life! I have Lace and thought that it would be all I need, but this is just too gorgeous! You definitely should! Those colours would look great on you! What gorgeous blush shades. I wish we had SLEEK cosmetics here in Australia. Oh man! I want one... not that I don't have enough blush to open a shop. Oh my, same here, I have way too much right now but I just can't help it! Haha same here! I definitely don't need any more (of any makeup really) but I just can't resist Sleek! I really want to try these out! They look amazing! Oh you should, you'll fall in love! I love the pumpkin pie color! Haha I am a bit scared but love them all the same :P makes it hard haha!